This paper provides a review and critique of empirical research on perceived discrimination and health. The patterns of racial disparities in health suggest that there are multiple ways by which racism can affect health. Perceived discrimination is one such pathway and the paper reviews the published research on discrimination and health that appeared in PubMed between 2005 and 2007. This recent research continues to document an inverse association between discrimination and health. This pattern is now evident in a wider range of contexts and for a broader array of outcomes. 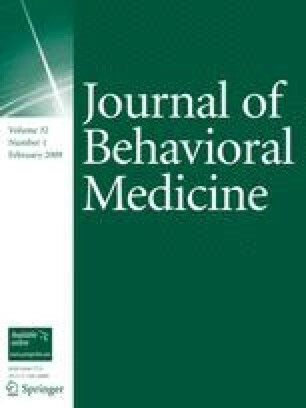 Advancing our understanding of the relationship between perceived discrimination and health will require more attention to situating discrimination within the context of other health-relevant aspects of racism, measuring it comprehensively and accurately, assessing its stressful dimensions, and identifying the mechanisms that link discrimination to health. Preparation of this paper was supported in part by Grant R01 MH 59575 from the National Institute of Mental Health (D.R.W), Grant 3 U-01 HL 087322-02S1, a Research Supplement to U-01 HL 87322-02 from the National Heart Lung and Blood Institute (S.A.M.) and by the John D. and Catherine T. McArthur Foundation Research Network on Socioeconomic Status and Health (D.R.W). We wish to thank Steven Beeber and Gabriel Sirota for assistance with preparing the manuscript and Manuela Costa for assistance with the research. Brody, G. H., Chen, Y. F., Murry, V. M., Ge, X., Simons, R. L., Gibbons, F. X., Gerrard, M., & Cutrona, C. (2006). Perceived discrimination and the adjustment of African American youths: A five-year longitudinal analysis with contextual moderation effects. Child Development, 77(5). doi: 10.1111/j.1467-8624.2006.00927.x. Clark, R., Benkert, R. A., & Flack, J. M. (2006a). Large arterial elasticity varies as a function of gender and racism-related vigilance in black youth. The Journal of Adolescent Health, 39(4). doi: 10.1016/j.jadohealth.2006.02.012. Larson, A., Gillies, M., Howard, P. J., & Coffin, J. (2007). It’s enough to make you sick: The impact of racism on the health of Aboriginal Australians. Australian and New Zealand Journal of Public Health, 31(4). doi: 10.1111/j.1753–6405.2007.00079.x.